Vancouver – Camping in Vancouver. Maps of Vancouver, Photos and Reviews for each camping in Vancouver. 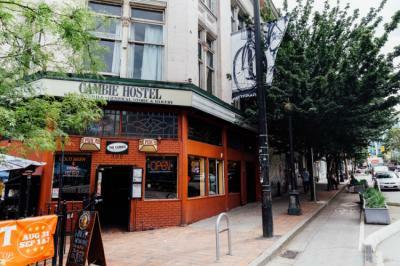 Looking for a hostel in Vancouver? Look no further, all the good deals in Vancouver are on Dorms.com. Like thousands of other people every month, book your hostel securely at the best price in all neighbourhoods of Vancouver. 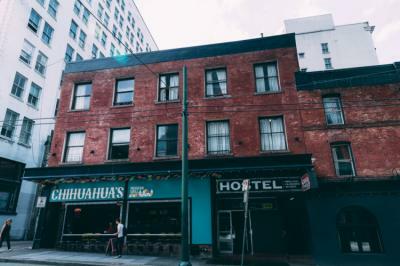 On this site, you can easily find a hostel downtown, in a trendy neighbourhood; a hostel in the student- university district, close to bus or train stations, airports or major attractions of Vancouver. We are located in the heart of the Entertainment District, close to many sites and transportation options. 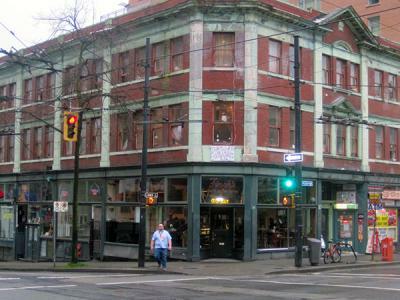 Our hostel is located one block from the famous Gastown Steam Clock. A lot of activities are offered daily and well supervised. 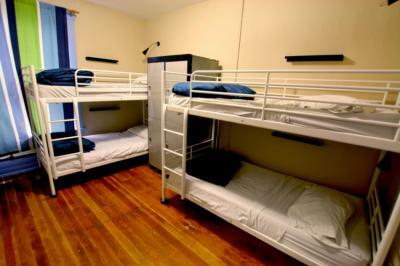 The dorm is very clean and well-maintained, the staff is very friendly and the check-in check-out is very smooth. They do not have a lift but that isn't much of a problem. The dorm is located at a prime street and everything one might need is at walking distance. 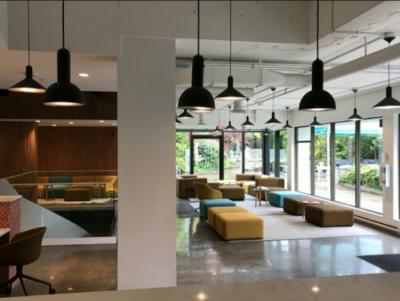 You may want to consult the receptionist before going out discovering Vancouver as they have discount coupons with them for a few popular places. We had a nice time her, the staff was great and the location is very good because it is near to some good attractions in the city. Vancouver is great and Samesun a nice place to enjoy it. Common areas are not very well appointed and quite narrow. Same for the common bathroom which is really too small and poorly arranged, especially for the number of people that the hostel can accommodate. In the rooms we hear the music of the bar parties on the ground floor as if we were there, we sometimes even feel the beds vibrate. There are often a lot of drunk people who make noise at night. Basically it's far from relaxing and comfortable places, even for a hostel. Auberge de jeunesse vraiment pas cher, mais le quartier n'est pas très sympa, on croise souvent des junkies. Toilettes et douches sales, et une seule toilette était fonctionnelle. Il y a un bar très bruyant juste en bas, impossible de dormir avant 2 heures... pas cher mais pas très confort. Wifi in the dorm rooms is excellent. The staff are very helpful and made sure my lost luggage from my flight arrived safe and sound at reception. Great central location, a short walk from the train station. In all honesty the hostel is fine. I read mixed reviews. Yes it could be a little cleaner but I have definitely stayed at worse places, some people exaggerate a lot on this. Atmosphere was really good. Nice bar and restaurant. Location couldn&apos;t be better, good nightlife downstairs and around the area. Good kitchen facilitates and a decent living room/common area to hang out. Staff are really helpful and friendly. Close to Skytrain, both Canada and Expo lines, Seabus, and Westcoast Express. Pacific Center Mall is less than a 5 minute walk away. The location and staff are on point. Rooms were average, but real cheap! Could have been better, but again, it's cheap. Very close to a subway station. Clean rooms. There's a bar below, very cool and lively, good music, so you know what to expect next. Lol. All in all, it was ok. The place is clean and affordable, felt safe and cozy. The room is ok in size. Its bright and comfortable. Overall, OK.
We're up the street of the lookout tower in Downtown Vancouver and we're also close by the steamwork clock. This hostel is cheap so do not expect too much from it. This is the best price and this is a reason why. Not very clean at all. Good location.